What is your favorite season? Mine is the Fall ! While I actually like all the seasons, Fall is my favorite. I love the beautiful colors of the leaves. I love all the hues of the autumn color palette, from the golden yellows to the burnt oranges to the deepest maroons. Some trees are like a magnificent work of art 🙂 I also love the weather – warm sunny days; crisp cool evenings; low humidity … what’s not to love ? Unfortunately, my sinuses aren’t a huge fan of the barometric pressures the change of seasons brings, but the rest of me loves the Fall weather. This entry was posted in My Thoughts & Opinions, Seasonal and tagged apple, Autumn, camping, comfort food, fall, Pumpkin, seasons, weather on October 13, 2016 by Tracy. One of my goals for 2014 was to learn how to make homemade soups. I chose a few I’d like to learn in an previous post. Yesterday I made a recipe (that wasn’t even on my list) that I found on Pinterest. My husband and I enjoy going out to eat. We like simple, casual food ~ homey, comfort food, nothing too fancy or gourmet. Olive Garden is one of our favorite places to go. I was looking for crockpot recipes on Pinterest when I found this one. I made a couple of changes, but only because I didn’t have a couple of the ingredients on hand. I used Italian Seasoning in place of the basil and thyme, and I skipped the apple juice entirely. 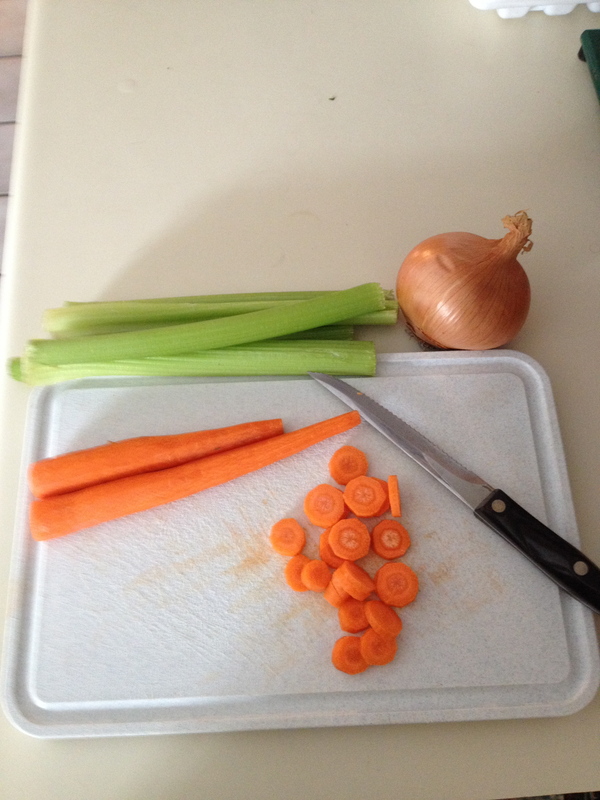 I also chose to slice the carrots instead of shred them. Otherwise, I pretty much followed the recipe step by step. You can find the original recipe here. 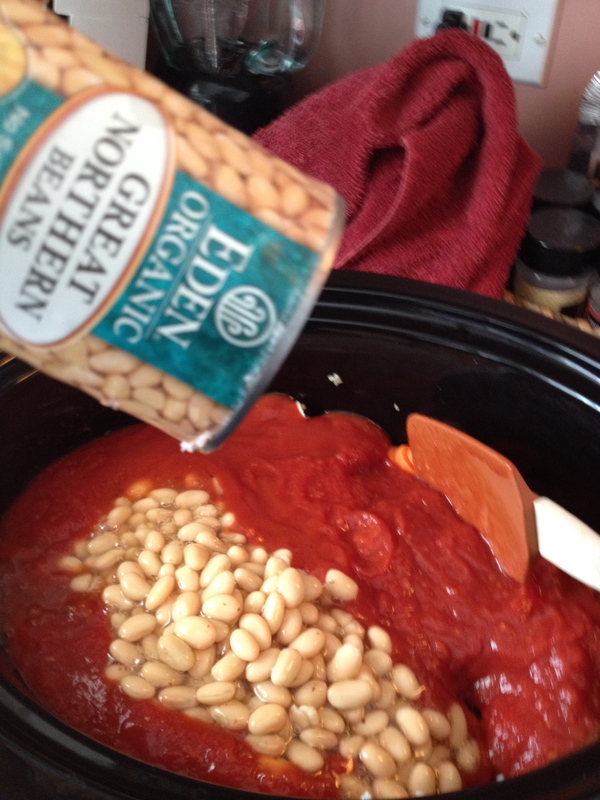 Healthy beans are one of the ingredients in my homemade soup recipe. 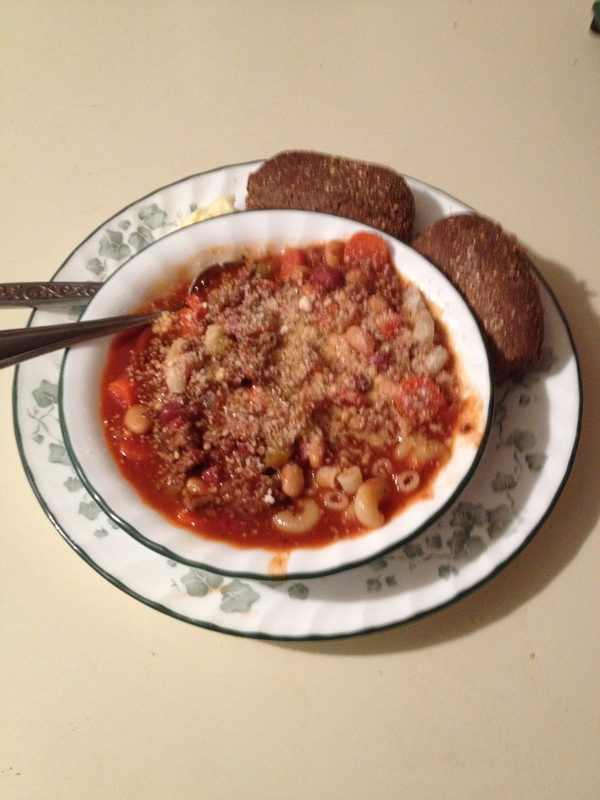 We had this for dinner last night … I served it with warm from the oven pumpernickel dinner rolls. YUM ! 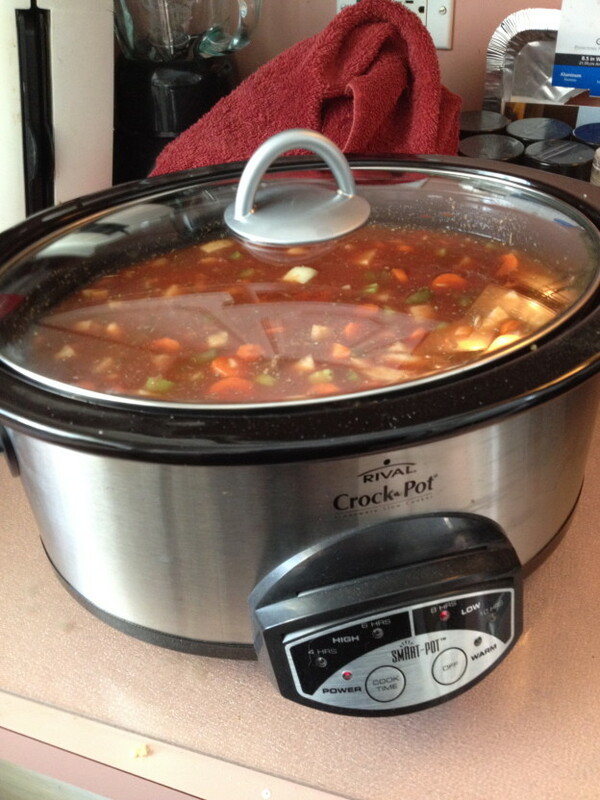 This entry was posted in Meal Planning, My Thoughts & Opinions, Seasonal and tagged 2014, beans, cold, comfort food, crockpot, healthy, homemade, meal, menu, Olive Garden, pasta, Pinterest, planning, recipes, slow cooker, soup, Tracy Helps You on March 4, 2014 by Tracy. There’s nothing like a big bowl of steamy, hot, homemade soup. It’s one of my favorite comfort foods. One of my goals is to learn how to make some of my favorite soups. 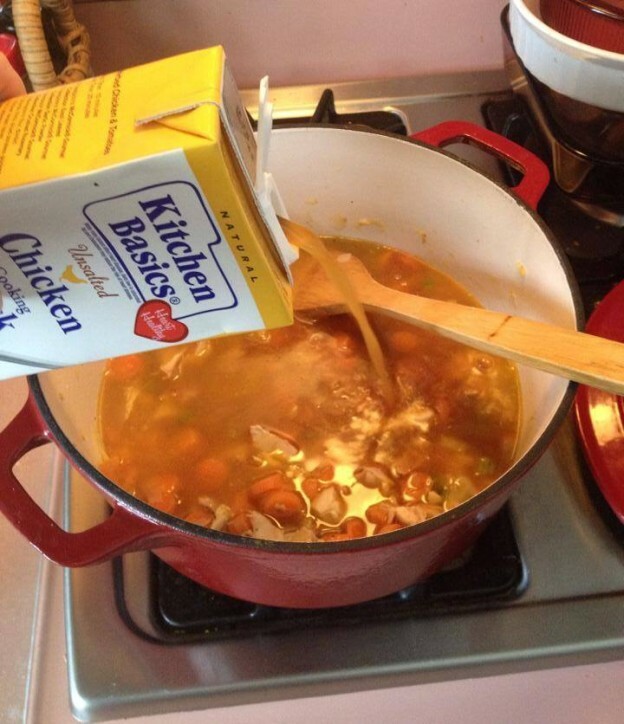 I’m a beginner when it comes to making homemade soup. I have a list of my favorites that I want to learn how to make. I recently read an article in Midwest Living magazine that intrigued me. It was about throwing a casual Soup Exchange party. Most of us have been to Cookie Exchange parties, usually around the Christmas holidays. This is the same type concept, except it promotes healthy recipes. I thought it might be a fun idea to have one in the midst of this record breaking Chicagoland winter. This entry was posted in Meal Planning, My Thoughts & Opinions, Personal Assistant, Seasonal and tagged Chicagoland, cold, comfort food, food, freezer, friends, homemade, January, Midwest Living, party, Pinterest, recipes, soup, weather, winter on January 28, 2014 by Tracy.